How do I upgrade my plan in HappyFox ? 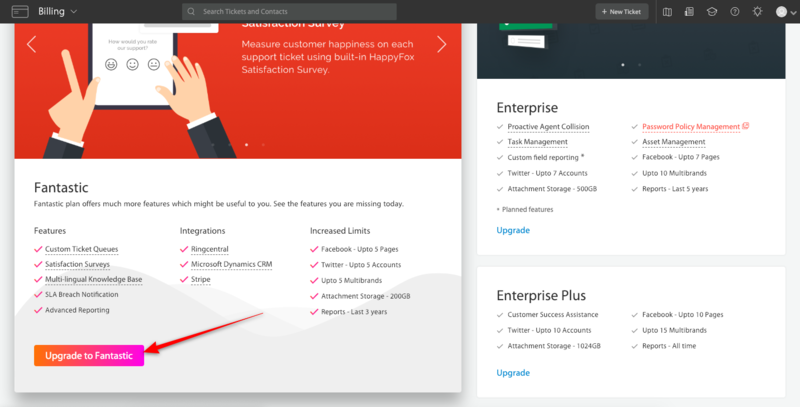 Learn more about HappyFox's pricing plans here. To upgrade your plan, please head over to the billing section. 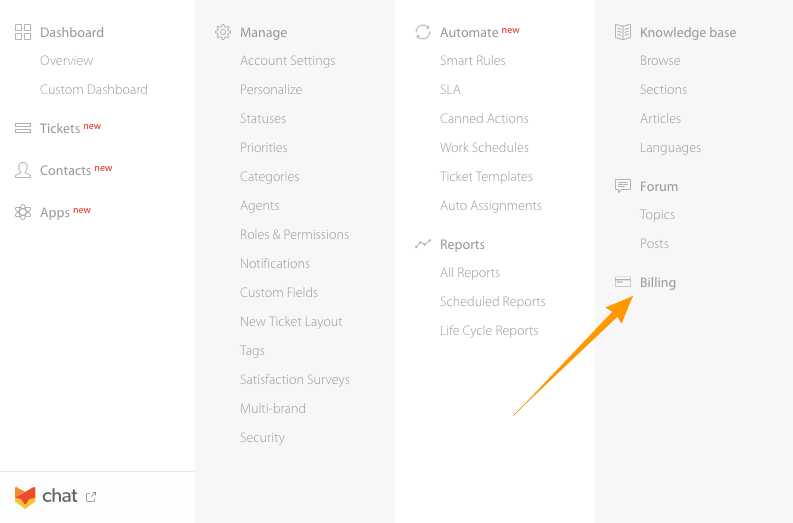 Permission Alert 🔐: Only Account Administrators can visit billing page and change the subscription plan. Log in to agent portal as account administrator. 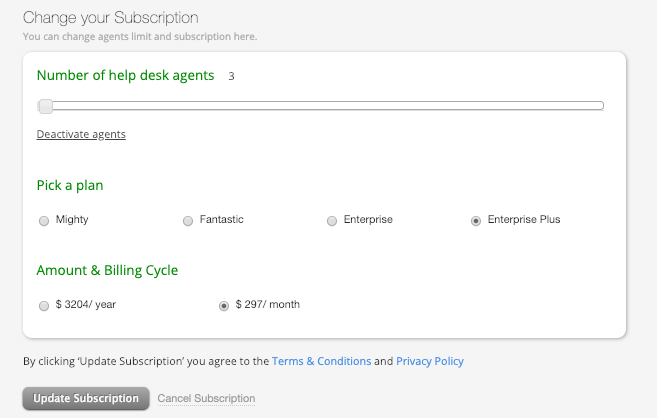 Click Billing from the Module Switcher menu options. Scroll down to Upgrade options to see the plans recommended for you to upgrade. Salient features of the other pricing plans are provided. Click "Upgrade" on the desired plan to continue. In the subsequent screen, please fill/verify in the "Plan" and "Billing Cycle" as per your current requirement. Click "Update Subscription" to complete plan upgrade. 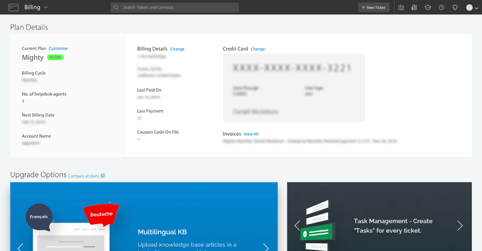 Alert ⚠️: Users paying via invoice mode, please send in your upgrade/downgrade request to billing@happyfox.com. How do I download invoices for my plan subscription?